2017 Victorian Shooting Industry Forum. Don’t miss it! Are you angry that the lever-action shotgun issue ever saw the light of day? Are you worried that the next political attack isn’t far away? What we haven’t seen before: An industry-wide forum where shooting organisations and interested individuals get the opportunity to be brought up to date by our major shooting organisations under a common banner, on what is happening in the shooting industry, and what we can all do about it. What we’re offering: Precisely that. 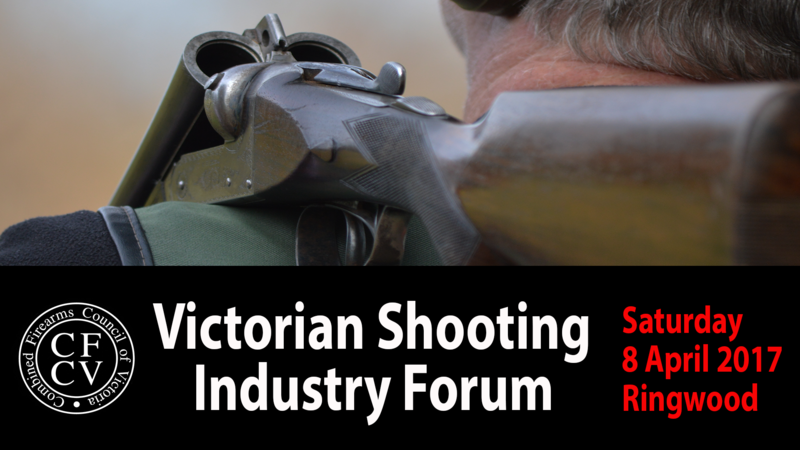 Join us at the first Victorian shooting industry-wide forum being held next April. You’ll hear what industry leaders have to say about issues of key concern to Victorian shooters – and what can be done about it. We’ll cover what’s happening with the proposed Great Forest National Park (a major threat to key hunting areas) and the never-ending story about the National Firearms Agreement. We’ll cover other other topical issues and how we intend to approach the 2018 Victorian State Election. Tickets: Click here to get your ticket. Tickets are limited, so book early to avoid disappointment. EventBrite no longer have this event on their website. Another boycott & silence via stealth we’ve come to expect? No, I hid the event because we’re about to pull the pin on it. Ticket sales were ok but nowhere near where we needed them to be – plus the updated NFA issue has created a workload which requires our attention at this point in time with a couple of key people away (overseas) at the moment. It’s a pity, because the first one went really well and a lot of people were interested in coming to the next one although they didn’t put their hands up this time around. I suspect a lot of people are all “Adler’d out” at the moment. Anyway we’re looking at rescheduling to later in the year.